Our line of Extreme Insulated Mailers is perfect for transporting temperature sensitive food products such as chocolates, caviar, seafood, etc. They can be used in conjunction with gel packs for overnight shipments of products requiring to be kept below 25C during transit. Soft inner foam offers superior padding for your products. The Insulated Mailers features a 1″ or 3/4″ thick open cell foam inner liner to achieve unsurpassed levels of thermal protection and transit time with a reduced footprint. Please call us today at (888) 216-1700 to see if this packaging solution is right for you. Our 10″x10″ Medtraveller Extreme Pouches feature a 1″ thick open cell foam inner liner to achieve unsurpassed levels of thermal protection and transit time with a reduced footprint. Our 12″x15″ Extreme Pouches feature a 3/4″ thick open cell foam inner liner to achieve unsurpassed levels of thermal protection and transit time with a reduced footprint. 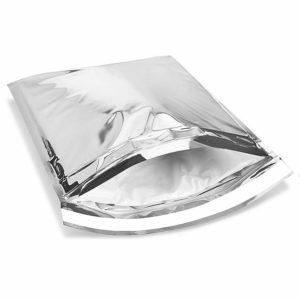 Our 15″x19″ Extreme Pouches feature a 1″ thick open cell foam inner liner to achieve unsurpassed levels of thermal protection and transit time with a reduced footprint.